Young girl riding horse indoors. 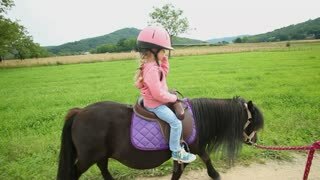 Little girl learns riding with female trainer at ranch. 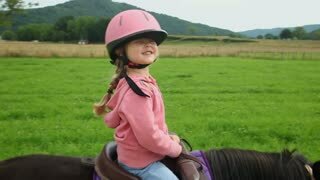 Indoor horse riding lessons.